I plan on picking it up. OH yeah, this just came out. I just got all of the Aerielbots...bigger than the originals and metal chests like the originals. Hmm. Did you get the Takara release? 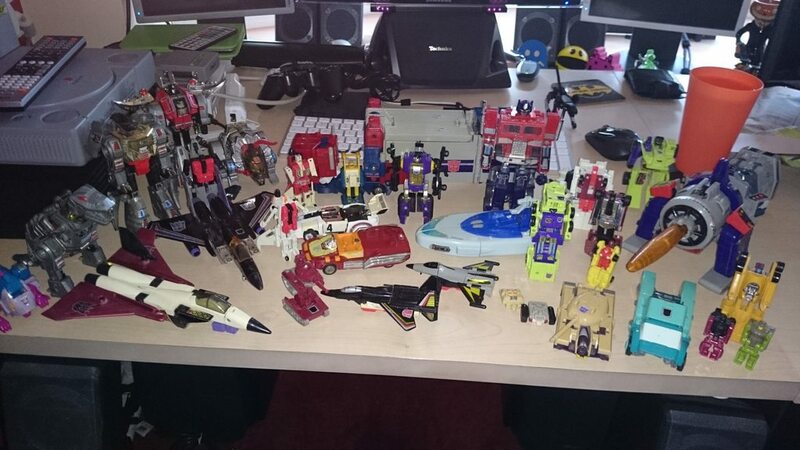 I have all 7 Hasbro Arielbots (the classic 5 plus Alpha Bravo and Powerglide) and they're all plastic apart from the screws and pins. It was worth ordering Quickslinger/Slingshot online to get the traditional lineup, even if it means Alpha Bravo is now a surplus limb. 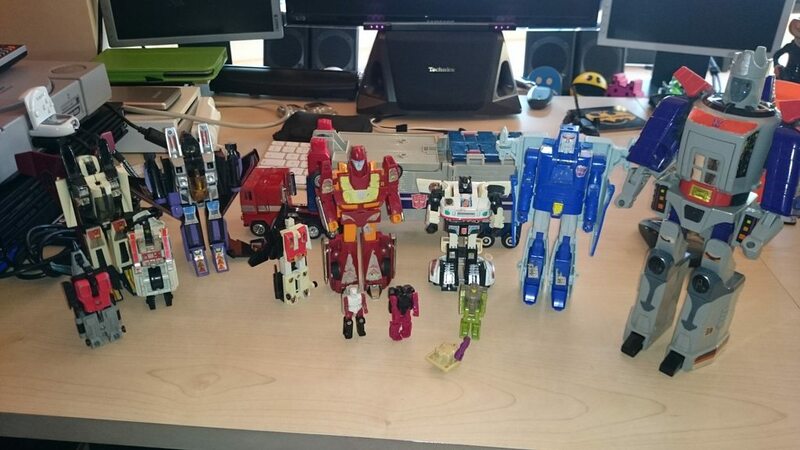 The Stunticons are out too, although like with Superion you have to go online exclusive to get the full classic lineup - Brake-Neck/Wildrider isn't a regular retail release. 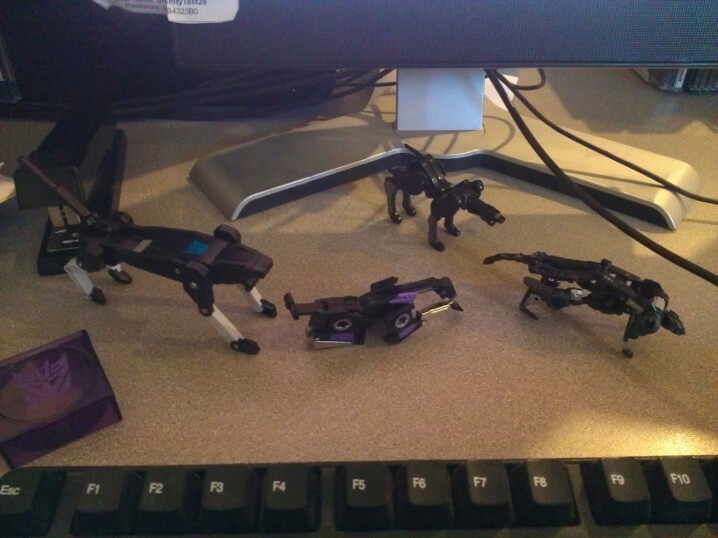 The Stunticons have better vehicle modes than the Aerielbots, but the combined form isn't as nice. Mainly because Motormaster has issues in torso mode. And truck mode - MM is really only good in robot mode. Dev looks nice, but he's a bit too large IMO. I have limited space, and its hard to justify a figure that big that doesn't turn into a base for smaller figures to populate. Hasbro release, the chest are definitely colder (to the touch) than the rest of the bodies which are room temp. Weird. Metal in modern TFs, especially general release ones, is a rarity these days. And I'm sure mine are 100% plastic. I did get from amazon in original packaging, but that doesn't mean anything. Can yous guys stick to Engrish preeze? TFWiki.net is your friend. You'll find a lot more detail there than I could possibly give! 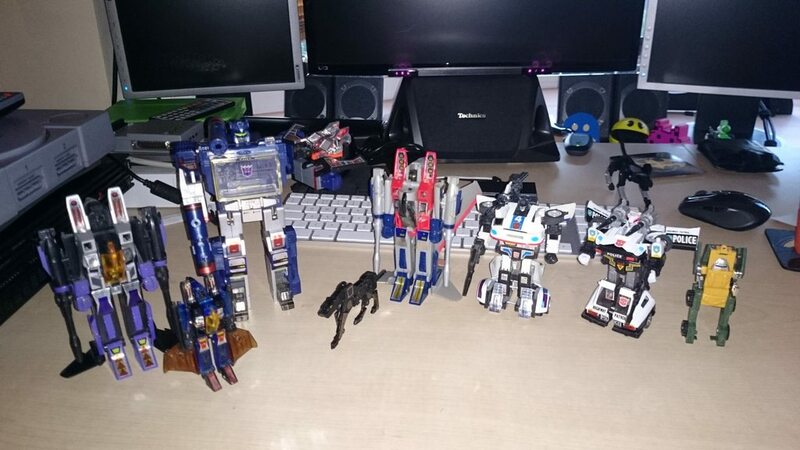 Majority of my '84-88 Takara transformers never survived my childhood or multiple house moves. I have a few somewhere but they are in a pretty sorry state. I do have quite a few re-issues that I may get out again at some point. 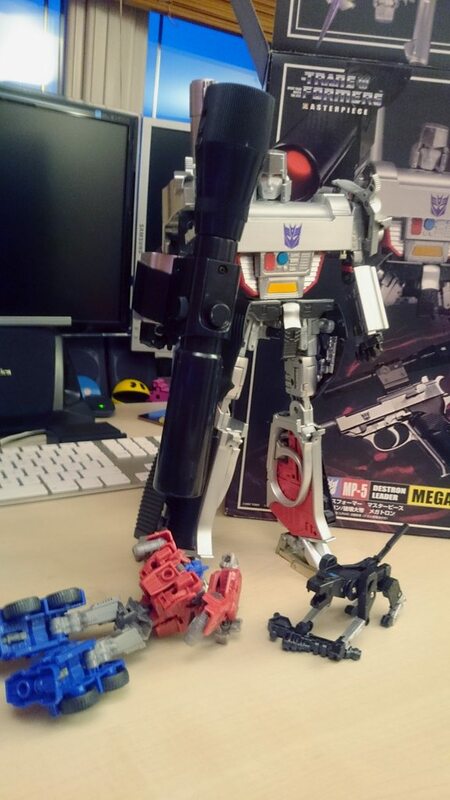 I do have a MP-05 Takara Masterpiece Megatron which I had imported a few years ago. You should pick up the big Megatron that's out right now so he can slap those guys around! 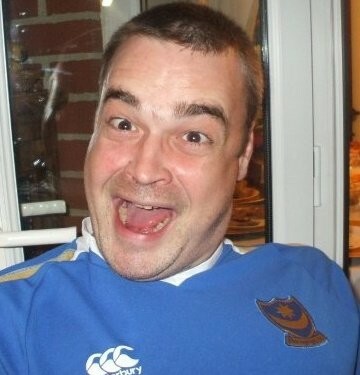 The one in "Such heroic nonsense" image. I will try to catch you up. Takara is the company who technically produces all transformers, hasbro is the US branding. 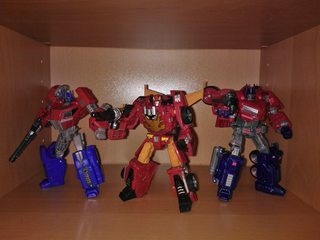 The quality supposedly is better with the Takara, but there are also other differences (paint colors in some cases, but the boxing is in its native language (not engrish). 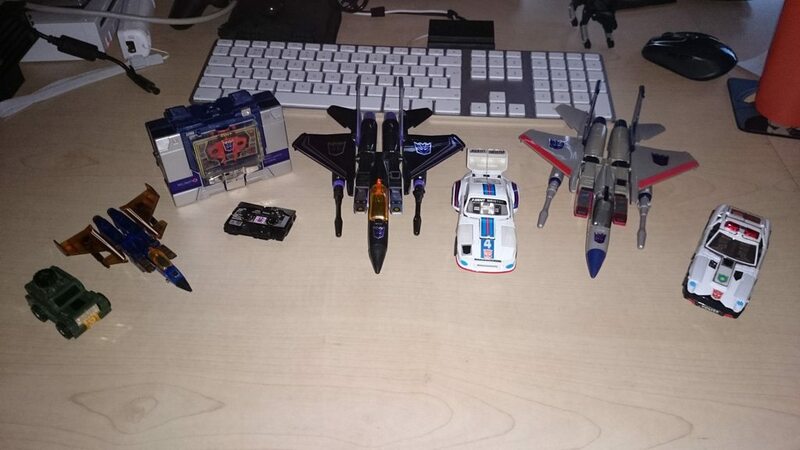 The originals were diecast metal with plastic, the new ones are just about all made with plastic and there is no diecast metal in any of them. 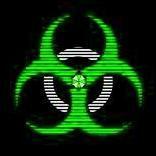 Not sure where else you are confused with, you could ask or check out the wiki page. 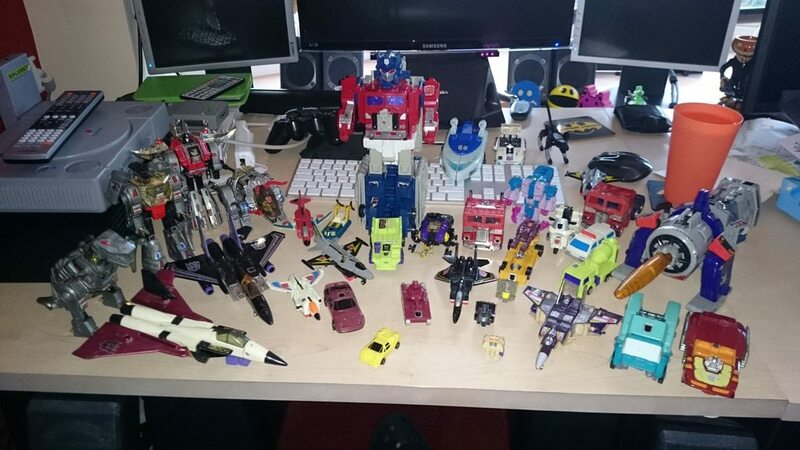 If you are looking for different ones, robotkingdom and bigbadtoystore are my go to online. Otherwise you can pick them up at your favorite toystores, but finding your collection may be hit or miss. I wish the megatron was the gun not the tank. But the PC world says guns are bad...I say it isn't true to the original even though the robot does look it. I always preferred him as a tank.It makes more sense for the Decepticon leader to have a fully-self sufficient altmode, rather than one he has to have his traitorous second in command use. 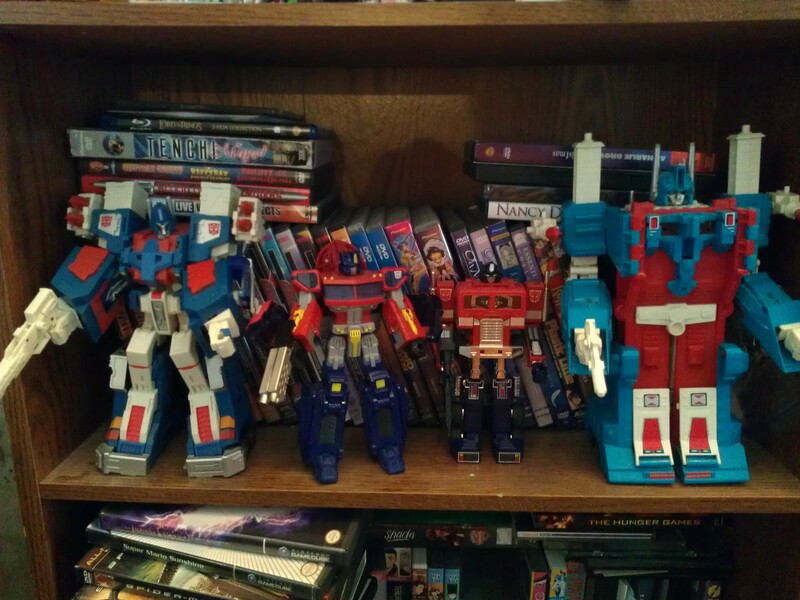 There have been a couple gun Megatrons semi-recently. 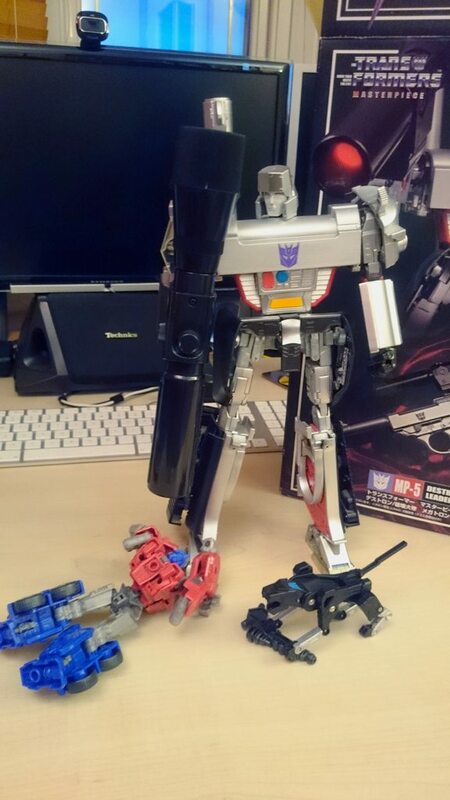 Classics Megatron turns into a sci-fi blaster modelled after a Nerf gun. 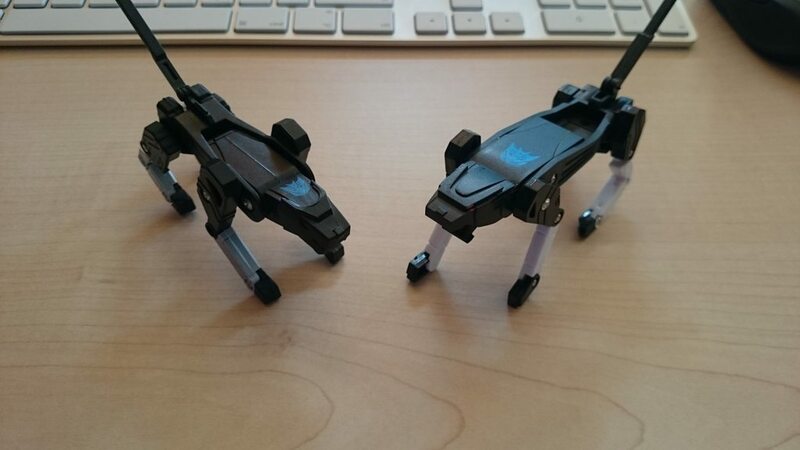 And there was a little Legends-class one designed to fit in MP Starscream's hand. And the 3rd party Hegemon figure. Well soundwave does use him as well. I do like the rotf leader class tank. 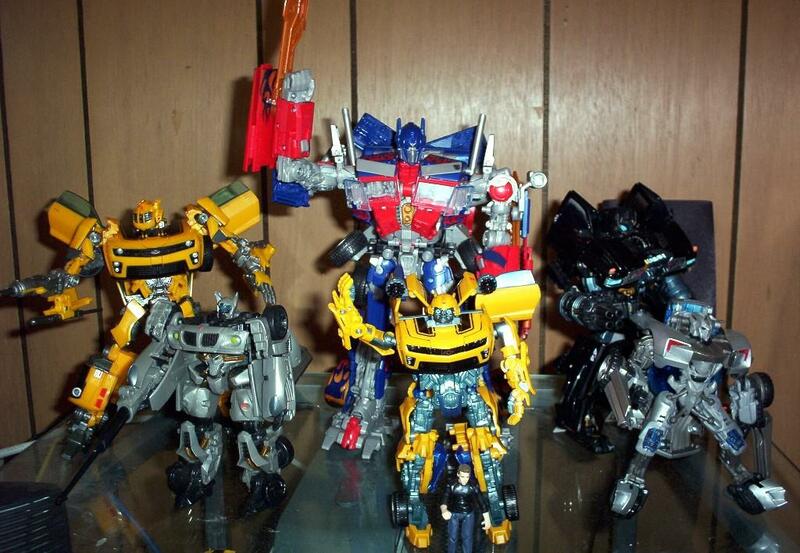 and the dotm leader class optimus. Pics bring back such good memories of my childhood. Almost want to cry. 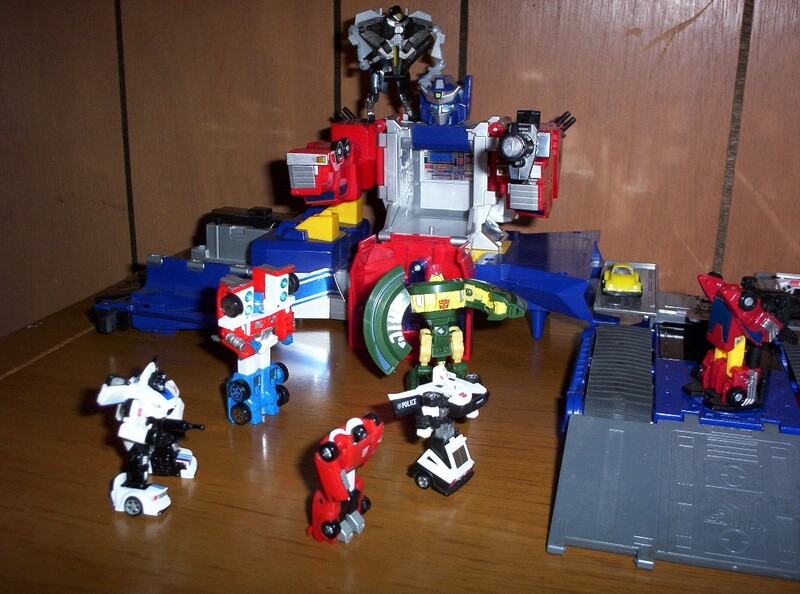 I really need to find my old "Decepticons vs. the Justice League" photo set. "Die, Hasbro unpainted & overpriced Autobot!" Some Ravages. 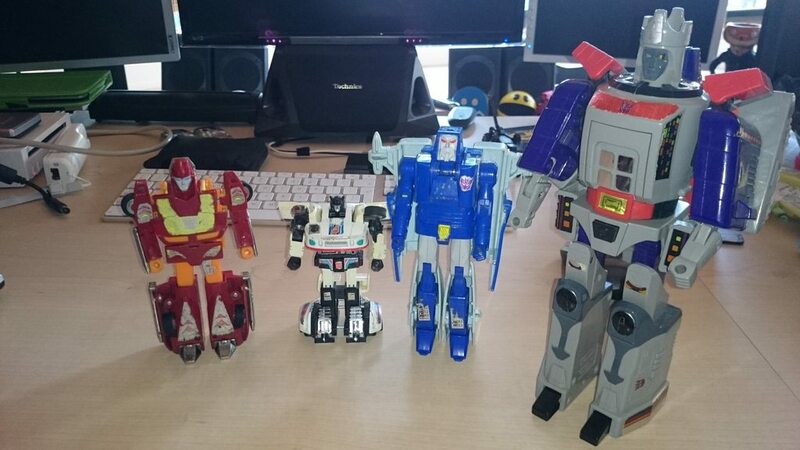 Device Label on the left, Classics top middle, 3rd party "Savage" cleaning his paw bottom middle, FOC on the right. 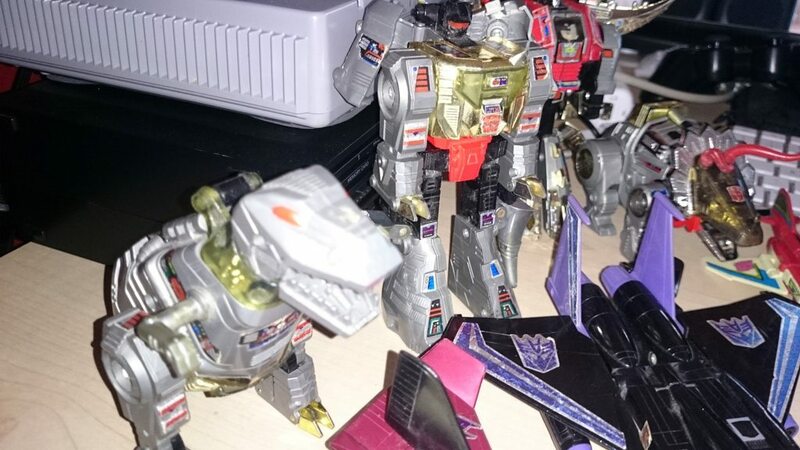 I guess Grimlock likes Nebulans? 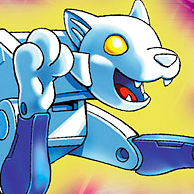 G1 Grimock want to munch metal! 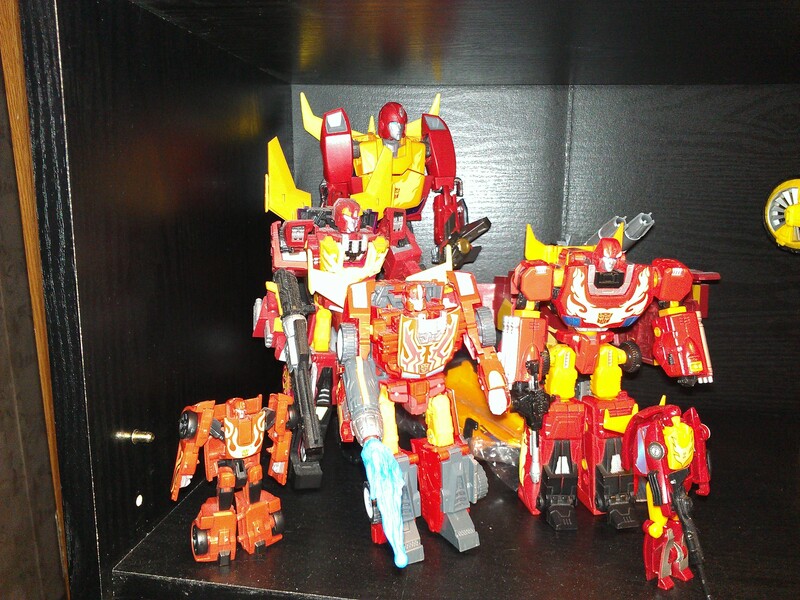 Very much Dinobot corner. 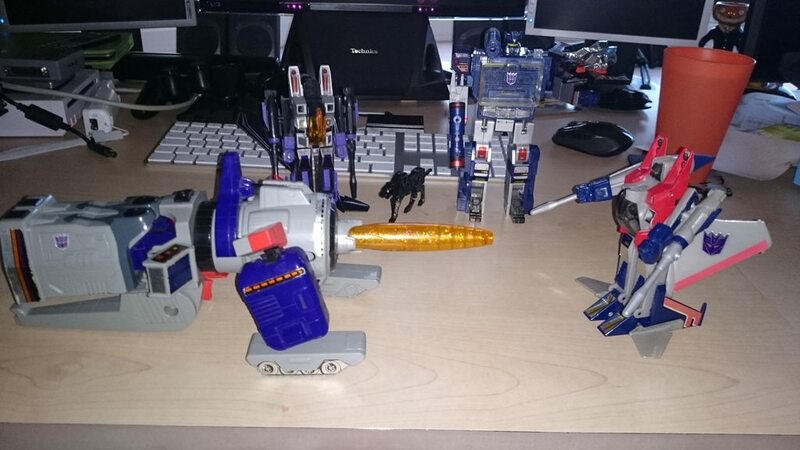 G1 Galvatron still works for a very 80's pew-pew and wuga-wuga-wuga. Blitzwing is such a terrible toy. Skywarp (Takara), W.S.T. 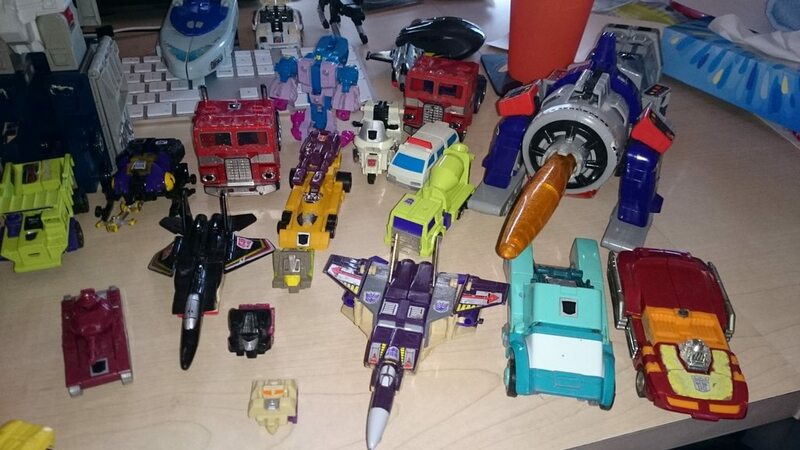 Ghost Dirge (Takara), Soundwave (Takara), Laserbeak, Ravage, Starscream (Hasbro), Jazz (Hasbro), Prowl (Takara), Brawn (Hasbro). "..Megatron? 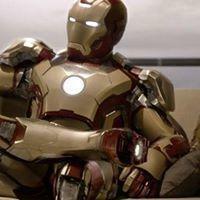 Is that you??" Here's a hint! Just to keep the thread active . . .